Welcome to Kids of Maseno e.V. Here you will find information about our association Kids of Maseno. 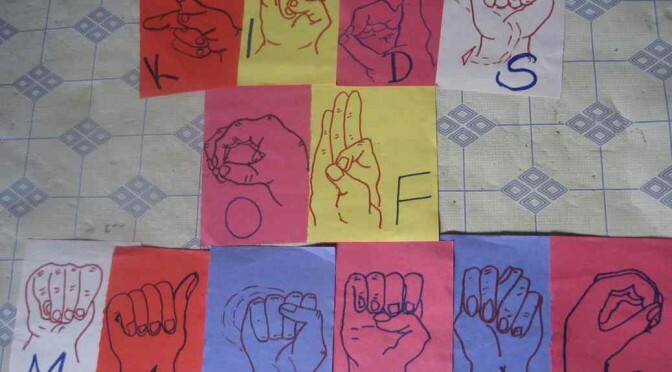 Our goal is to support Deaf and Deafblind children in Kenya, especially in Maseno, a town situated in the western part of the country, in their school education. Furthermore, we also participate and assist other projects like workshops for parents, awareness programs about Deafness and Sign Language, and the building of a new children’s home. Besides the presentation of recent programs you get to know more about your own possibilities to get involved in several activities, for example as an intern or as a donor. If you have any questions or remarks please use the contact paper sheet. But for now: Have fun on our website!